Albert House is a beautiful early Victorian Manor House, set in a large and tranquil shaded garden, with a swimming pool. The rooms all have DSTV and are equipped with tea and coffee trays, toiletries, towels, heaters and electric blankets (winter) and fans (summer). Albert House serve an excellent three-course dinner on request. 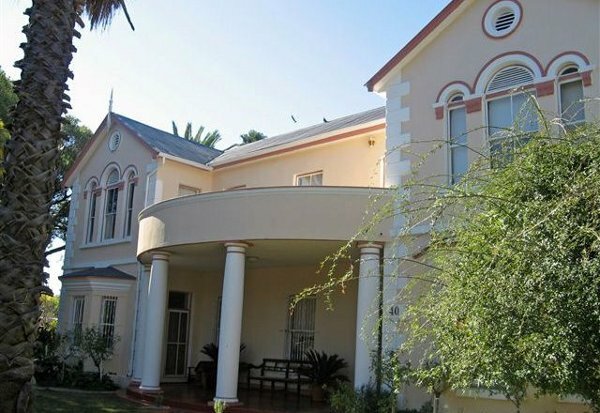 For that lovely intimate wedding in the Karoo, Albert House will do the catering and provide a full wedding service. Choose from 3 double rooms with en-suite bathrooms – one with bath only, one with shower over bath, one with bath and shower. Click here to enquire at Albert House.